"Cortes is not just a bunch of crazy tree-huggers...We want to log our lands. We want a community forest," one of the subjects of the forthcoming documentary film Heartwood tells Vancouver-based director Daniel Pierce. The film explores the conflict over logging practices on a remote island on BC's south coast, which encapsulates a larger debate currently shaping the future of forestry in the province. The question it poses is not whether to log, but who does it, how they go about it, and who reaps the benefits. Pierce is in the final stage of a "crowd funding" campaign to raise donations from the public to help finish the project. This relatively new tool is having a profound impact on filmmaking and other creative endeavours, which now have a whole new avenue for financial support. Heartwood is the follow-up effort to Pierce's The Hollow Tree (2011), on the battle to save a famous Stanley Park landmark, which was licensed to CBC's Documentary Channel and Knowledge Network. On the Indiegogo.com crowd funding site for Heartwood, Pierce notes, "While that film was about the citizens of Vancouver trying to save a dead tree, it is only logical that my next film would be about people taking a stand for living trees." For that, Pierce journeyed to Cortes Island, near Campbell River, off the east coast of Vancouver Island. The small island is at the centre of the battle to protect some of the last remaining stands of old growth forest in the province. As Ray Grigg explained in a recent Common Sense Canadian story on the subject, "The surrounding majestic forests of Douglas fir, technically designated as CDFmm (Coastal Douglas-fir, Moist Maritime), have been obliterated to less than 1% of their original area. Cortes Island happens to contain one of the last sparse pockets of this once spectacular forest ecology." The need to conserve BC's old growth forests like the one on Cortes was at the centre of a recent report by the Sierra Club BC titled, "Carbon at Risk: B.C. 's Unprotected Old Growth Rainforests". The report argues that BC can't meet its climate targets while continuing the practice of old growth logging, which releases an estimated 3 million tonnes of carbon into the atmosphere each year. "One year of logging old-growth rainforest on Vancouver Island and the south coast eliminates B.C. 's progress in reducing annual emissions," the report suggests. At the centre of Heartwood's narrative lies the conflict between two different visions for the future of logging on the island. On one side is Island Timberlands, the forestry behemoth owned by Wall Street investment giant Brookfield Asset Management and the province's multi-billion dollar investment fund, BCIMC. Island Timberlands wants to continue with large-scale clear cuts on Cortes. In stark contrast is a new vision for small-scale, locally owned and operated logging, which brings together First Nations and non-aboriginal Cortesians seeking a more sustainable form of development for their community. This joint venture between the Cortes Forestry Co-op and local Klahoose First Nation is seeking a Community Forest License that would apply to the majority of crown forest lands on the island. "They want to see this land managed in an ecosystem-based forestry model," says Pierce. "Unlike industrial clear-cut methods employed by companies like Island Timberlands, this smaller-scale approach would allow the forest ecosystem to flourish, while local communities can extract a living from the forest for centuries to come. In this way, Cortesians are demonstrating in no uncertain terms how they want forestry to be done on Cortes. But Island Timberlands — while making some amendments to its logging plans — has shown little interest in changing its paradigm." As one interviewee puts it in the film's trailer, "We should do it smaller and slower and on a community scale and have the benefits stay here, rather than be exported into profits in New York." Once the key environmental and economic topic is BC, forestry has seen its profile shrink compared with other issues like oil pipelines and fish farms in recent years. But failed forestry policies are once again stoking heated debate in the run-up to BC's next election in May - from the Auditor General's scathing report on the mismangement of BC's forestry sector last year, to fresh concerns about the privatization of public forests and the climate impacts of old growth logging. Pierce aims to use his film and related media to plant forestry on the agenda in May. "In exchange for your contribution," he writes, "I promise to devote my whole being to delivering this story to you with soul and compassion — on the web, on television, and in cinemas. Together, we can make our voices heard and make BC's forests a key provincial election issue in 2013." Heartwood has been in production since last year. Funds from this crowd funding campaign, which ends March 5, will go towards finishing the project. Donors can choose between a range of rewards for their contribution, including a digital download of the film and forest-themed photographic prints and artwork. This statement below was read by Private First Class Bradley E. Bradley at a providence inquiry for his formal plea of guilty to one specification as charged and nine specifications for lesser included offenses. He pled not guilty to 12 other specifications. This rush transcript was taken by journalist Alexa O'Brien at the Article 39(a) session of United States v. Pfc. 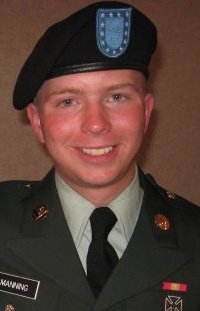 Bradley Manning on February 28, 2013 at Fort Meade, MD, USA. After researching the intelligence analyst position, I agreed that this would be a good fit for me. In particular, I enjoyed the fact that an analyst could use information derived from a variety of sources to create work products that informed the command of its available choices for determining the best course of action or COA's. Although the MOS required working knowledge of computers, it primarily required me to consider how raw information can be combined with other available intelligence sources in order to create products that assisted the command in it's situational awareness or SA. Due to those injuries I was unable to continue 'basic'. During medical hold, I was informed that I may be out processed from the Army, however, I resisted being chaptered out because I felt that I could overcome my medical issues and continue to serve. On 2[8 or 20?] January 2008, I returned to basic combat training. This time I was better prepared and I completed training on 2 April 2008. As I started working with SigActs I felt they were similar to a daily journal or log that a person may keep. They capture what happens on a particular day in time. They are created immediately after the event, and are potentially updated over a period of hours until final version is published on the Combined Information Data Network Exchange. Each unit has it's own Standard Operating Procedure or SOP for reporting recording SigActs. The SOP may differ between reporting in a particular deployment and reporting in garrison. The CIDNE system contains a database that is used by thousands of Department of Defense-DoD personel including soldiers, civilians, and contractors support. It was the United States Central Command or CENTCOM reporting tool for operational reporting in Iraq and Afghanistan. Two separate but similar databases were maintained for each theater-CIDNE-I for Iraq and CIDNE-A for Afghanistan. Each database encompasses over a hundred types of reports and other historical information for access. They contain millions of vetted and finalized directories including operational intelligence reporting. CIDNE was created to collect and analyze battle-space data to provide daily operational and Intelligence Community (IC) reporting relevant to a commander's daily decision making process. The CIDNE-I and CIDNE-A databases contain reporting and analysis fields for multiple disciplines including Human Intelligence or HUMINT reports, Psychological Operations or PSYOP reports, Engagement reports, Counter Improvised Explosive Device or CIED reports, SigAct reports, Targeting reports, Social and Cultural reports, Civil Affairs reports, and Human Terrain reporting. In working on an assignment I looked anywhere and everywhere for information. As an all-source analyst, this was something that was expected. The D6-A systems had databases built in, and I utilized them on a daily basis. This simply was-the search tools available on the D6-A systems on SIPRNet such as Query Tree and the DoD and Intellink search engines. It is my understanding that the SigAct reports remain classified only because they are maintained within CIDNE-because it is only accessible on SIPRnet. Everything on CIDNE-I and CIDNE-A to include SigAct reporting was treated as classified information. [(3)] Shared drive backup. Each analyst had access to a 'T' drive-what we called 'T' drive shared across the SIPRnet. It allowed others to access information that was stored on it. S6 operated the 'T' drive. [(4)] Compact disk rewritable or CD-RW back up. For larger datasets I saved the information onto a re-writable disk, labeled the disks, and stored them in the conference room of the T-SCIF. This redundancy permitted us to not worry about information loss. If the system crashed, I could easily pull the information from a secondary computer, the 'T' drive, or one of the CD-RWs. If another analysts wanted to access my data, but I was unavailable she could find my published products directory on the 'T' drive or on the CD-RWs. I sorted all of my products or research by date, time, and group; and updated the information on each of the storage methods to ensure that the latest information was available to them. In order to compress the data to fit onto a CD-RW, I used a compression algorithm called 'bzip2'. The program used to compress the data is called 'WinRAR'. WinRAR is an application that is free, and can be easily downloaded from the internet via the Non-Secure Internet Relay Protocol Network or NIPRnet. I downloaded WinRAR on NIPRnet and transfered it to the D6-A machine user profile desktop using a CD-RW. I did not try to hide the fact that I was downloading WinRAR onto my SIPRnet D6-A machine or computer. In addition to visiting the WLO website, I began following WLO using Instand Relay Chat or IRC Client called 'XChat' sometime in early January 2010. IRC is a protocol for real time internet communications by messaging and conferencing, colloquially referred to as chat rooms or chats. The IRC chat rooms are designed for group communication discussion forums. Each IRC chat room is called a channel-similar to a Television where you can tune in or follow a channel-so long as it is open and does not require [missed word]. Once you [missed word] a specific IRC conversation, other users in the conversation can see that you have joined the room. On the Internet there are millions of different IRC channels across several services. Channel topics span a range of topics covering all kinds of interests and hobbies. The primary reason for following WLO on IRC was curiosity-particularly in regards to how and why they obtained the SMS messages referenced above. I believed that collecting information on the WLO would assist me in this goal. Over a period of time I became more involved in these discussions especially when conversations turned to geopolitical events and information technology topics, such as networking and encryption methods. Based on these observations, I would describe the WL organization as almost academic in nature. In addition to the WLO conversations, I participated in numerous other IRC channels acros at least three different networks. The other IRC channels I participated in normally dealt with technical topics including with Linux and Berkley Secure Distribution BSD operating systems or OS's, networking, encryption algorithms and techniques and other more political topics, such as politics and [missed word]. I normally engaged in multiple IRC conversations simultaneously-mostly publicly, but often privately. The XChat client enabled me to manage these multiple conversations across different channels and servers. The screen for XChat was often busy, but its screens enabled me to see when something was interesting. I would then select the conversation and either observe or participate. I also tried to raising the topic of releasing the CIDNE-I and CIDNE-A SigAct tables to the public. I asked Tyler hypothetical questions about what he would do if he had documents that he thought the public needed access to. Tyler really didn't have a specific answer for me. He tried to answer the questions and be supportive, but seemed confused by the question in this context. During this time a blizzard bombarded the mid-atlantic, and I spent a significant period of time essentially stuck in my aunt's house in Maryland. I began to think about what I knew and the information I still had in my possession. For me, the SigActs represented the on the ground reality of both the conflicts in Iraq and Afghanistan. At my aunt's house I debated what I should do with the SigActs-in particular whether I should hold on to them-or expose them through a press agency. At this point I decided that it made sense to try to expose the SigAct tables to an American newspaper. I first called my local news paper, The Washington Post, and spoke with a woman saying that she was a reporter. I asked her if the Washington Post would be interested in receiving information that would have enormous value to the American public. I also began scanning the database and reading other random cables that piqued my curiosity. It was around this time-in early to mid-January of 2010, that I began searching the database for information on Iceland. I became interested in Iceland due to the IRC conversations I viewed in the WLO channel discussing an issue called Icesave. At this time I was not very familiar with the topic, but it seemed to be a big issue for those participating in the conversation. This is when I decided to investigate and conduct a few searches on Iceland and find out more. The dehumanized the individuals they were engaging and seemed to not value human life by referring to them as quote "dead bastards" unquote and congratulating each other on the ability to kill in large numbers. At one point in the video there is an individual on the ground attempting to crawl to safety. The individual is seriously wounded. Instead of calling for medical attention to the location, one of the aerial weapons team crew members verbally asks for the wounded person to pick up a weapon so that he can have a reason to engage. For me, this seems similar to a child torturing ants with a magnifying glass. While saddened by the aerial weapons team crew's lack of concern about human life, I was disturbed by the response of the discovery of injured children at the scene. In the video, you can see that the bongo truck driving up to assist the wounded individual. In response the aerial weapons team crew-as soon as the individuals are a threat, they repeatedly request for authorization to fire on the bongo truck and once granted they engage the vehicle at least six times. Shortly after the second engagement, a mechanized infantry unit arrives at the scene. Within minutes, the aerial weapons team crew learns that children were in the van and despite the injuries the crew exhibits no remorse. Instead, they downplay the significance of their actions, saying quote 'Well, it's their fault for bringing their kid's into a battle' unquote. The aerial weapons team crew members sound like they lack sympathy for the children or the parents. Later in a particularly disturbing manner, the aerial weapons team verbalizes enjoyment at the sight of one of the ground vehicles driving over a body-or one of the bodies. As I continued my research, I found an article discussing the book, The Good Soldiers, written by Washington Post writer David Finkel. In Mr. Finkel book, he writes about the aerial weapons team attack. As, I read an online excerpt in Google Books, I followed Mr. Finkel's account of the event belonging to the video. I quickly realize that Mr. Finkel was quoting, I feel in verbatim, the audio communications of the aerial weapons team crew. It is clear to me that Mr. Finkel obtained access and a copy of the video during his tenue as an embedded journalist. I was aghast at Mr. Finkel's portrayal of the incident. Reading his account, one would believe the engagement was somehow justified as 'payback' for an earlier attack that lead to the death of a soldier. Mr. Finkel ends his account by discussing how a soldier finds an individual still alive from the attack. He writes that the soldier finds him and sees him gesture with his two forefingers together, a common method in the Middle East to communicate that they are friendly. However, instead of assisting him, the soldier makes an obscene gesture extending his middle finger. The individual apparently dies shortly thereafter. Reading this, I can only think of how this person was simply trying to help others, and then he quickly finds he needs help as well. To make matter worse, in the last moments of his life, he continues to express his friendly gesture-only to find himself receiving this well known gesture of unfriendliness. For me it's all a big mess, and I am left wondering what these things mean, and how it all fits together. It burdens me emotionally. I saved a copy of the video on my workstation. I searched for and found the rules of engagement, the rules of engagement annexes, and a flow chart from the 2007 time period-as well as an unclassified Rules of Engagement smart card from 2006. On 15 February 2010 I burned these documents onto a CD-RW, the same time I burned the 10 Reykjavik 13 cable onto a CD-RW. At the time, I placed the video and rules for engagement information onto my personal laptop in my CHU. I planned to keep this information there until I redeployed in Summer 2010. I planned on providing this to the Reuters office in London to assist them in preventing events such as this in the future. I hoped that the public would be as alarmed as me about the conduct of the aerial weapons team crew members. I wanted the American public to know that not everyone in Iraq and Afghanistan are targets that needed to be neutralized, but rather people who were struggling to live in the pressure cooker environment of what we call asymmetric warfare. After the release I was encouraged by the response in the media and general public, who observed the aerial weapons team video. As I hoped, others were just as troubled-if not more troubled that me by what they saw. At this time, I began seeing reports claiming that the Department of Defense an CENTCOM could not confirm the authenticity of the video. Additionally, one of my supervisors, Captain Casey Fulton, stated her belief that the video was not authentic. In her response, I decided to ensure that the authenticity of the video would not be questioned in the future. On 25 February 2010, I emailed Captain Fulton, a link to the video that was on our 'T' drive, and a copy of the video published by WLO that was collected by the open source center, so she could compare them herself. Around this time frame, I burned a second CD-RW containing the aerial weapons team video. In order to made it appear authentic, I placed a classification sticker and wrote Reuters FOIA REQ on its face. I placed the CD-RW in one of my personal CD cases containing a set of 'Starting Out in Arabic CD's.' I planned on mailing out the CD-RW to Reuters after our re-deployment, so they could have a copy that was unquestionably authentic. Almost immediately after submitting the aerial weapons team video and rules of engagement documents I notified the individuals in the WLO IRC to expect an important submission. I received a response from an individual going by the handle of 'ox'-at first our conversations were general in nature, but over time as our conversations progressed, I accessed this individual to be an important part of the WLO. As the communications transfered from IRC to the Jabber client, I gave 'ox' and later 'pressassociation' the name of Nathaniel Frank in my address book, after the author of a book I read in 2009. The anonymity that was provided by TOR and the Jabber client and the WLO's policy allowed me to feel I could just be myself, free of the concerns of social labeling and perceptions that are often placed upon me in real life. In real life, I lacked a closed friendship with the people I worked with in my section, the S2 section. On 27 February 2010, a report was received from a subordinate battalion. The report described an event in which the Federal Police or FP detained 15 individuals for printing anti-Iraqi literature. On 2 March 2010, I received instructions from an S3 section officer in the 2nd Brigade Combat Team, 10th Mountain Division Tactical Operation Center or TOC to investigate the matter, and figure out who the quote 'bad guys' unquote were and how significant this event was for the Federal Police. Over the course of my research I found that none of the individuals had previous ties to anti-Iraqi actions or suspected terrorist militia groups. A few hours later, I received several [playlist?] from the scene-from this subordinate battalion. They were accidentally sent to an officer on a different team on the S2 section and she forwarded them to me. These photos included picture of the individuals, pallets of unprinted paper and seized copies of the final printed material or the printed document; and a high resolution photo of the printed material itself. I printed up one [missed word] copy of a high resolution photo-I laminated it for ease of use and transfer. I then walked to the TOC and delivered the laminated copy to our category two interpreter. It detailed corruption within the cabinet of al-Maliki's government and the financial impact of his corruption on the Iraqi people. After discovering this discrepancy between the Federal Police's report and the interpreter's transcript, I forwarded this discovery to the top OIC and the battle NCOIC. The top OIC and the overhearing battle captain informed me that they didn't need or want to know this information anymore. They told me to quote "drop it" unquote and to just assist them and the Federal Police in finding out, where more of these print shops creating quote' anti-Iraqi literature' unquote. I couldn't believe what I heard and I returned to the T-SCIF and complained to the other analysts and my section NCOIC about what happened. Some were sympathetic, but no one wanted to do anything about it. I knew that if I continued to assist the Baghdad Federal Police in identifying the political opponents of Prime Minister al-Maliki, those people would be arrested and in the custody of the Special Unit of the Baghdad Federal Police and very likely tortured and not seen again for a very long time-if ever. I attempted to provide the specifics, but to my disappointment, the WLO website chose not to publish this information. At the same time, I began sifting through information from the US Southern Command or SOUTHCOM and Joint Task Force Guantanamo, Cuba or JTF-GTMO. The thought occurred to me-although unlikely, that I wouldn't be surprised if the individuals detainees by the Federal Police might be turned over back into US custody-and ending up in the custody of Joint Task Force Guantanamo. As I digested through the information on Joint Task Force Guantanamo, I quickly found the Detainee Assessment Briefs or DABs. I previously came across the document's before in 2009 but did not think much about them. However, this time I was more curious in this search and I found them again. I also recall that in early 2009 the, then newly elected president, Barack Obama, stated that he would close Joint Task Force Guantanamo, and that the facility compromised our standing over all, and diminished our quote 'moral authority' unquote. After familiarizing myself with the Detainee Assessment Briefs, I agree. Reading through the Detainee Assessment Briefs, I noticed that they were not analytical products, instead they contained summaries of tear line versions of interim intelligence reports that were old or unclassified. None of the DABs contained the names of sources or quotes from tactical interrogation reports or TIR's. Since the DABs were being sent to the US SOUTHCOM commander, I assessed that they were intended to provide very general background information on each of the detainees and not a detailed assessment. In addition to the manner in which the DAB's were written, I recognized that they were at least several years old, and discussed detainees that were already released from Joint Task Force Guantanamo. Based on this, I determined that the DAB's were not very important fro either an intelligence or a national security standpoint. On 7 March 2010, during my Jabber conversation with Nathaniel, I asked him if he thought the DAB's were of any use to anyone. Nathaniel indicated, although he did not believe that they were of political significance, he did believe that they could be used to merge into the general historical account of what occurred at Joint Task Force Guantanamo. He also thought that the DAB's might be helpful to the legal counsel of those currently and previously held at JTF-GTMO. After this discussion, I decided to download the data. I used an application called Wget to download the DAB's. I downloaded Wget off of the NIPRnet laptop in the T-SCIF, like other programs. I saved that onto a CD-RW, and placed the executable in my 'My Documents' directory on my user profile, on the D6-A SIPRnet workstation. After creating the zip file, I uploaded the file onto their cloud drop box via Secure File Transfer Protocol. Once these were uploaded, I notified Nathaniel that the information was in the 'x' directory, which had been designated for my own use. Earlier that day, I downloaded the USACIC report on WLO. The more I read, the more I was fascinated with the way that we dealt with other nations and organizations. I also began to think the documented backdoor deals and seemingly criminal activity that didn't seem characteristic of the de facto leader of the free world. Up to this point,during the deployment, I had issues I struggled with and difficulty at work. Of the documents release, the cables were the only one I was not absolutely certain couldn't harm the United States. I conducted research on the cables published on the Net Centric Diplomacy, as well as how Department of State cables worked in general. In late March 2010, I discovered a US CENTCOM directly on a 2009 airstrike in Afghanistan. I was searching CENTCOM I could use as an analyst. As described above, this was something that myself and other officers did on a frequent basis. As I reviewed the incident and what happened. The airstrike occurred in the Garani village in the Farah Province, Northwestern Afghanistan. It received worldwide press coverage during the time as it was reported that up to 100 to 150 Afghan civilians-mostly women and children-were accidentally killed during the airstrike. I did not see anything in the 15-6 report or its annexes that gave away sensitive information. Rather, the investigation and its conclusions were-what those involved should have done, and how to avoid an event like this from occurring again. After investigating the report and its annexes, I downloaded the 15-6 investigation, PowerPoint presentations, and several other supporting documents to my D6-A workstation. I also downloaded three zip files containing the videos of the incident. I burned this information onto a CD-RW and transfered it to the personal computer in my CHU. I did later that day or the next day-I uploaded the information to the WL website this time using a new version of the WLO website submission form. In 2010, the Council of Canadians joined with the Sandy Pond Alliance for the Protection of Canadian Waters to launch a Federal Court challenge against the federal Schedule 2 provision that allows mining companies to dump their tailings waste into freshwater lakes. The challenge was intended to save both Sandy Pond in Newfoundland and other lakes threatened by Schedule 2 across the country, including Fish Lake in British Columbia. Mining companies have applied to use about 13 natural water bodies as waste sites, with 5 water bodies already approved for destruction. The Brazilian mining corporation Vale and the Mining Association of Canada made efforts to delay the Federal Court hearing so much so that the case was only heard this past week by Justice Elizabeth Heneghan. Beyond the loss of water with destruction of Sandy Pond, the newspaper also notes that the Vale processing plant will take about 4.4 million cubic metres of water a year from Rattling Brook Big Pond. While it now appears that the ruling from Justice Heneghan will not save Sandy Pond (though it might be possible to remediate the lake if toxic tailings were not dumped onto what is now left of it), we remain hopeful that her ruling will find the federal Schedule 2 approval of this destruction ultra vires or illegal in relation to the Fisheries Act, and that it could serve as an important precedent to protect the other freshwater lakes facing this same fate across the country. Mr. Heiner Flassbeck has served since 2006 as Director of the Division on Globalization and Development Strategies of the United Nations Conference on Trade and Development (UNCTAD). He is the principal author and the leader of the team preparing UNCTAD's Trade and Development Report. The Trade and Development Report is the flagship annual publication of UNCTAD covering both recent and longer term issues in the world economy, with particular emphasis on the implications for developing countries. Two British peace activists have been detained in recent weeks after arriving home from the West Bank, occupied Palestine. They have been detained and taken in for questioning, over suspected links with the International Solidarity Movement. Schedule 7 of the Terrorism Act 2000, which the two activists have been held on, allows the police, under certain specified circumstances, to arrest individuals without a warrant who are reasonably suspected of being terrorists. These laws are draconian measures which give the British police powers to detain suspects for up to 28 days without charge. Schedule 7 is clearly being used as a tool to find out more about activists involved in a wide variety of types of political dissent and to provide profiles of activists for the police to use in trying to undermine political movements. None of the questions about movements in the UK were designed to root out terrorism or uncover the preparation for terrorism. In fact, the movements concerned have never even been accused of terrorism (with the exception of completely false accusations made against the ISM, see here). Britain abstained at the last vote at the United Nations deciding whether Palestine should be accepted as a non-member observer state. But in the last two weeks the double standards of the British government in relation to Palestine and Israel have again been laid bare; Saeed Amireh, has been refused a visa to visit the UK. Amireh is a peaceful campaigner against Israel’s occupation and the theft of Nilin’s land. He was told he hadn’t provided “enough supporting documents”, even though he had supplied everything that was asked for, including a letter of invitation and guarantee from the UK Palestine Solidarity Campaign of his costs being paid. The use of these powers as a way to clamp down on non violent activists from Palestine and Britain is not acceptable, what is the British government afraid of? Maybe the fact the activists, returning home from Palestine, work with Corporate Watch and have helped reveal the continued supply of weaponry from Britain to the Israeli army has made them a target. This is despite the current British arms export policy stating it won’t deliver weapons to any countries breaking UN treaties. British companies are still complicit in Israeli war crimes in Gaza, as was proved in the EDO Decommisioners case of 2010. First unsuccessfully proposed in 1988–1989, and known as the ‘rollover’ of Tree Farm Licenses (TFLs), the proposal was extremely short-lived. showing their areas. (Website background documents link, http://www.bctwa.org/TFLBackgrounder. farm license,” would soon evolve into an agenda to resurrect rollovers provincially. Committee had not specifically recommended the “rollover” of forest licences. “It has been 24 years since the public rejected the rollover of Tree Farm Licenses in BC. Why is this old, discredited agenda to privatize public forestland being raised again, just before the election, by a political party that has lost all credibility and has no mandate?,” asks Will Koop, B.C. Tap Water Alliance Coordinator. Once upon a time, “homeland” was a word of little significance in the American context. What American before 9/11 would have called the United States his or her “homeland” rather than “country”? Who sang “My homeland, 'tis of thee, sweet land of liberty”? Between my birth in 1944, as World War II was drawing to a close, and September 11, 2001, I doubt I ever heard the word in reference to the U.S. There was a reason: “homeland” had a certain ring to it and anyone would have known at once just what that ring, that resonance, was. Not to put too fine a point on it, we’re talking about the ring of evil. It sounded like the sort of word the Nazis or maybe Stalin would have used as the terrible totalitarians of the previous century mobilized their people for horrific wars and heinous crimes. It’s true that, in the run-up to September 11th, somewhere in the corridors of Washington, there were right-wingers already pushing to homeland-ize this country. The word, along with the idea of creating a future Office of Homeland Security, was then gestating like the monster baby in the movie Alien, awaiting its moment to burst forth. Today, there’s nothing alien about that most un-American of terms. It has slipped so smoothly into our lives that “Homeland” is the name of a popular TV show, and college students looking for a good livelihood can now get a BA or an MA coast to coast in... yep, homeland security. (“You can build a career helping to protect our nation by earning your Bachelor of Science Degree in Homeland and Corporate Security at St. John’s University.”) And if you happen to be into securing the homeland, you can even join the “corporate and homeland security club” on campus. After college, given the money pouring into the “field,” the sky’s the limit. Or what about the Chertoff Group, headed by Michael Chertoff, the former secretary of the Department of Homeland Security, or the Ashcroft Group, headed by former Attorney General John Ashcroft, or for that matter Good Harbor Security Management, led by former National Coordinator for Security, Infrastructure Protection, and Counter-terrorism Richard Clarke. * Then there are the problems of screening people crossing into this country. The lion’s share of responsibility for border security lies with part of the DHS, the U.S. Customs and Border Protection (CBP), which had an $11.7 billion budget in fiscal 2012. But in the land of utter duplication that is Washington’s version of counterterrorism, there is also something called the Border Security Program at the State Department, with a separate pot of funding to the tune of $2.2 billion last year. The jury’s out on whether these programs are faintly doing their jobs, even as they themselves define them. As with so many other DHS programs, the one thing they are doing successfully is closing and locking down what was once considered an “open” society. Perhaps the strangest part of homeland security operations may be this: there is no agreed-upon definition for just what homeland security is. The funds Washington has poured into the concept will soon enough approach a trillion dollars and yet it’s a concept with no clear boundaries that no one can agree on. Worse yet, few are asking the hard questions about what security we actually need or how best to achieve it. Instead, Washington has built a sprawling bureaucracy riddled with problems and set it on autopilot. Mattea Kramer is research director at National Priorities Project, where Chris Hellman is senior research analyst. Both are TomDispatch regulars. They co-authored the book A People’s Guide to the Federal Budget.